Happy Monday everyone. Did you all have a good weekend???? Mine was mostly productive. So with that I started this card when we first got stamps to work with and let me say do I go crazy creating things!!!! 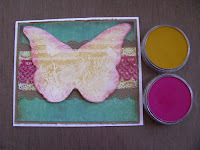 We are suppose to share with you how we make our projects so let me share with you how I made this one. 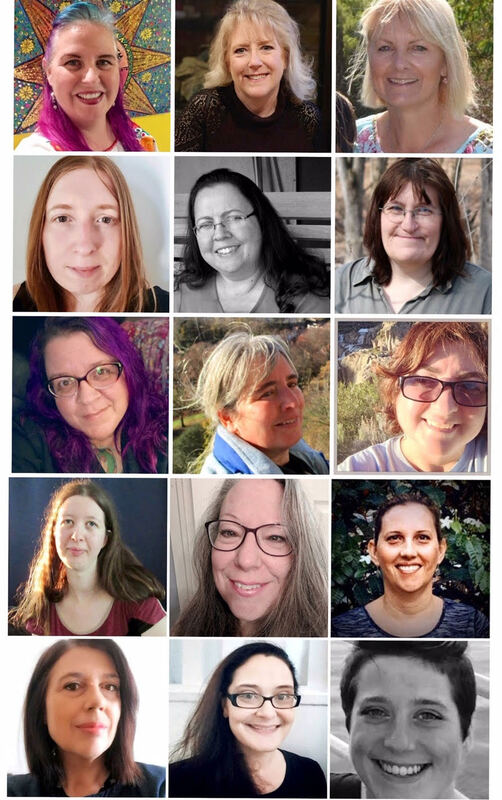 I am so sorry I don't have a ton of photos this go around. 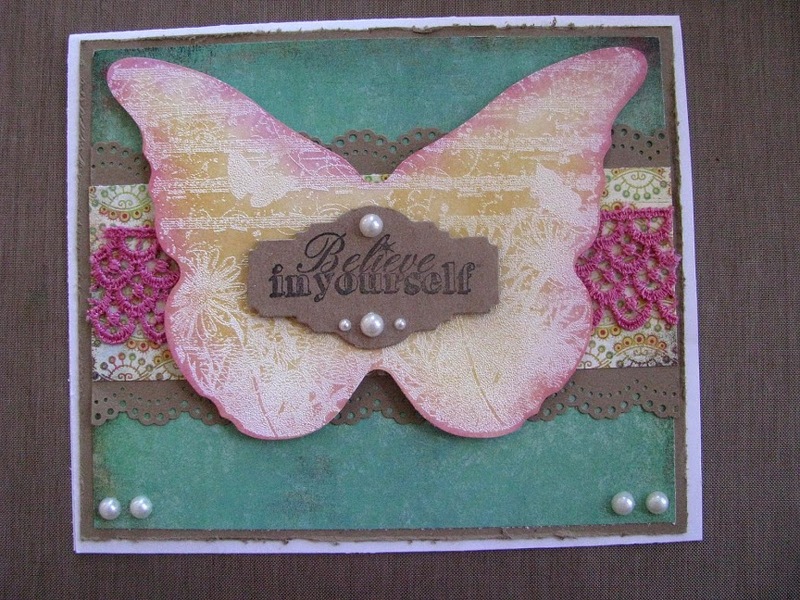 First step: I made a card base using some Basic Grey papers that coordinated with my butterfly. 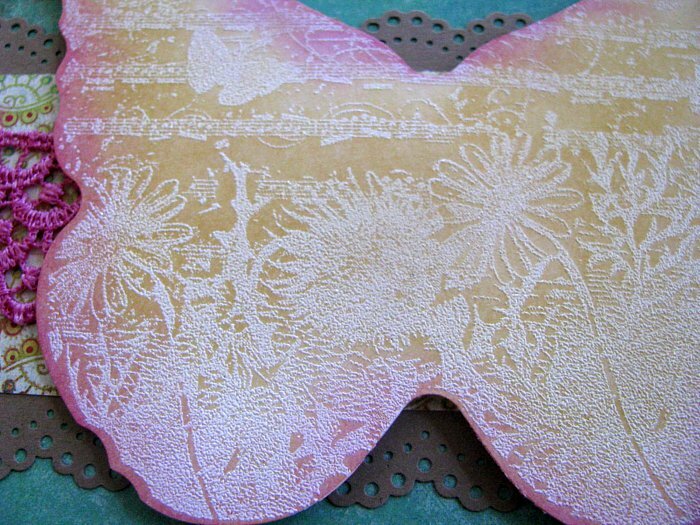 I heat embossed the large butterfly from the Love of Butterflies set on white cardstock with Sparkle N Sprinkle's Belgium Cream. I cut it out using the Lifestyle Crafts Butterfly die, and then colored the butterfly with some Pan Pastels. 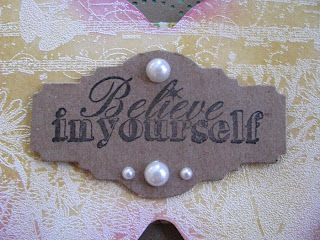 Second Step: Cut out a piece of chipboard using one of the Tim Holtz die and stamp Believe In Yourself from the Fairies Plate 1 on the chipboard. Final step: Adhere everything together. 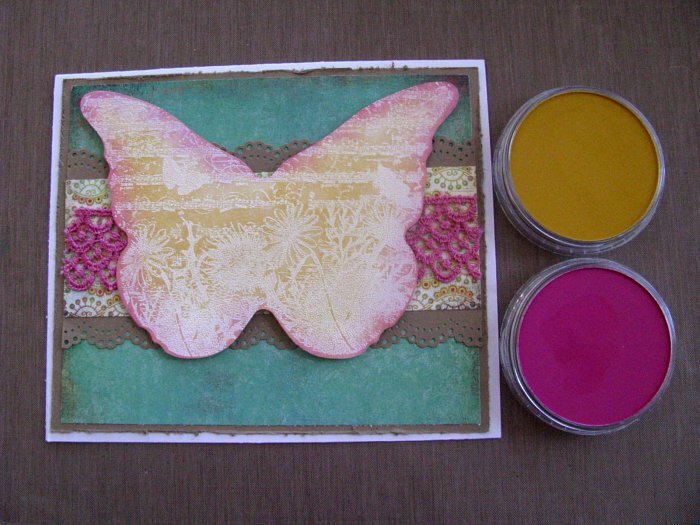 Hope to have inspired you for something a little springlike. Make sure you keep checking back for more inspiration!